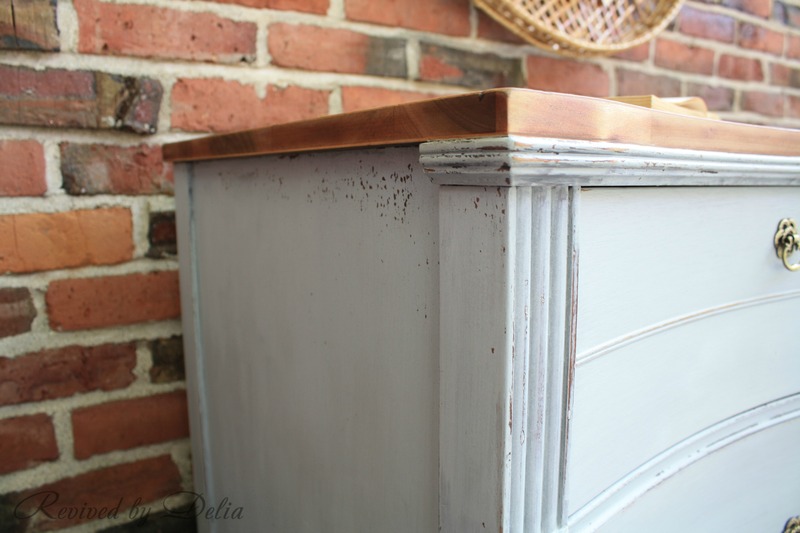 ← Black Milk Paint Vintage Record Cabinet – Updated! 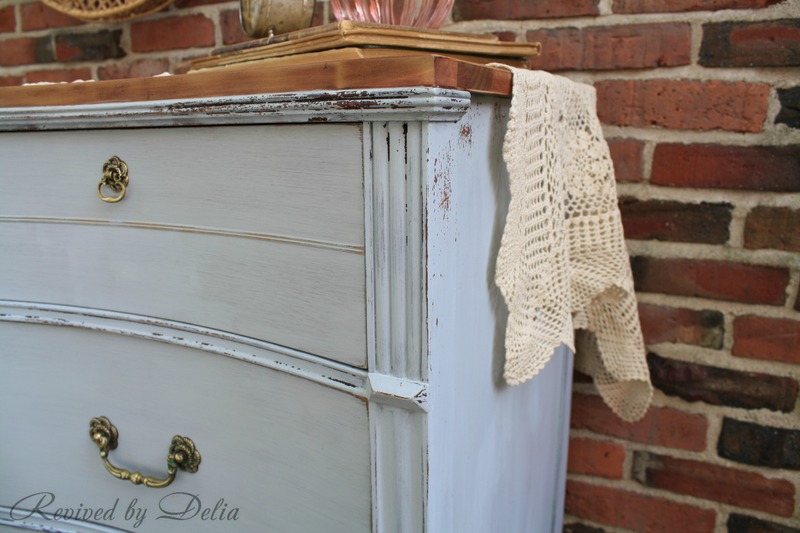 Sharing a sweet little re-do with you tonight. Actually, it’s really not little. This one is heavy. Very heavy. But wow, does she look pretty now. You can see in the before picture below, the top was pretty beat up, guessing years of nail polish remover stains and curling iron burns were the culprits. I stripped down the top, which evened out the finish, but there was no getting rid of those burns. So I went with it. 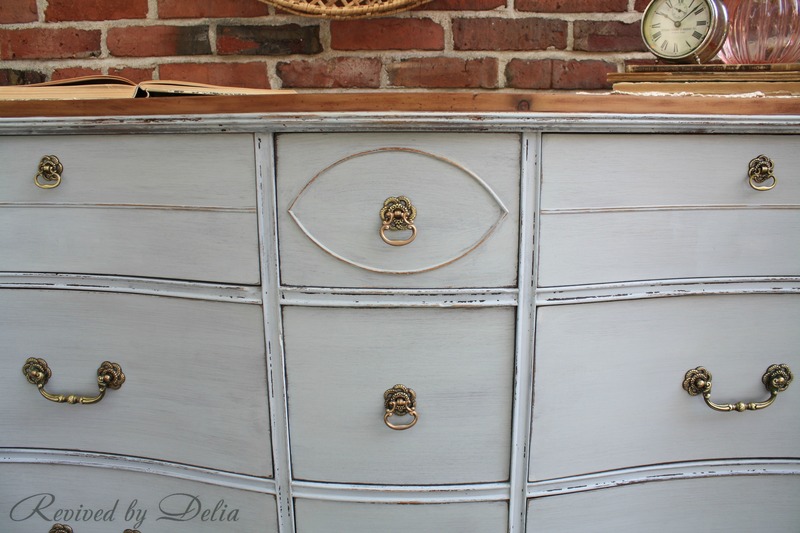 And in honesty, they look quite becoming… I gave the whole body a quick sanding to help the milk paint adhere, and painted with a mix of Miss Mustard Seed’s Linen with a little Shutter Gray. It came out a nice light gray, with just a hint of blue in certain light. The hardware was original and beautiful, but unfortunately missing one piece. 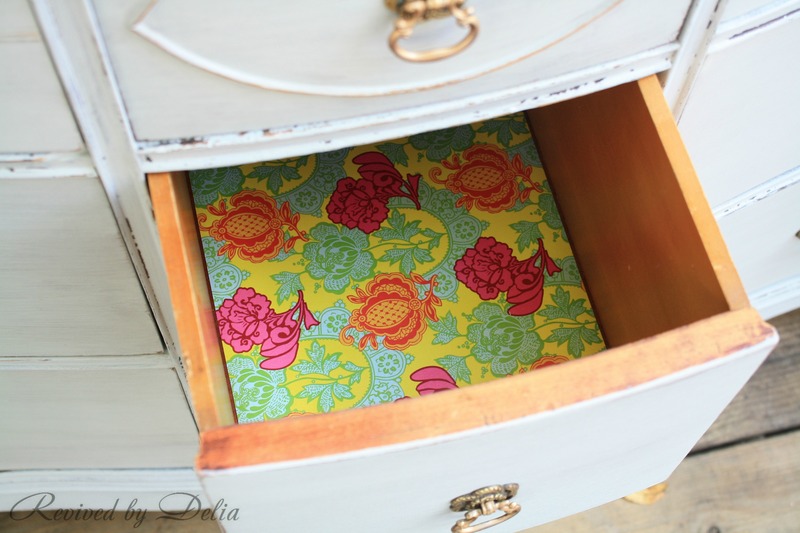 I filled in the lower holes on the top drawers and kept the top pulls. (Shhhh – if you don’t tell anyone, I don’t think it’s noticeable.) To clean up the hardware, I let them soak in mineral spirits then scrubbed a little with steel wool. They look beautiful. And a couple of little vignette shots. My hydrangeas are looking more beautiful now than they did all summer, so I cut a couple for this shot. 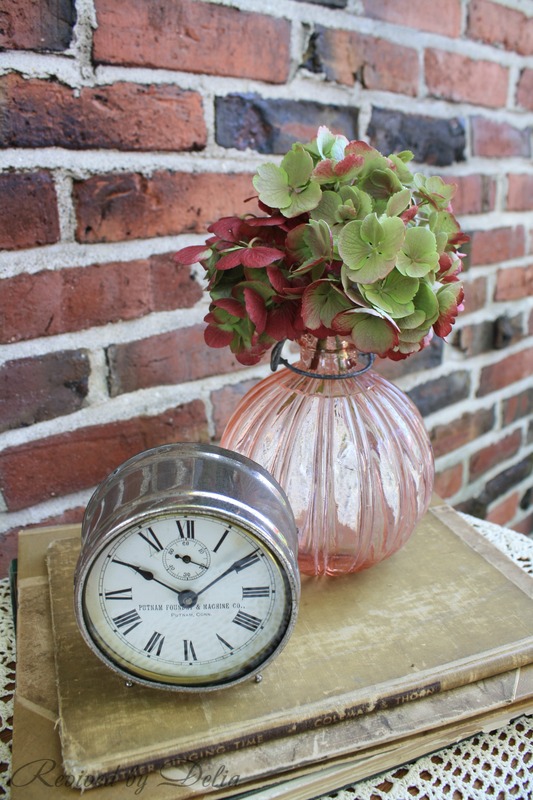 The clock is an antique from Putnam Foundry & Machine Co, from Putnam, Connecticut. That was fun to find at a tag sale. 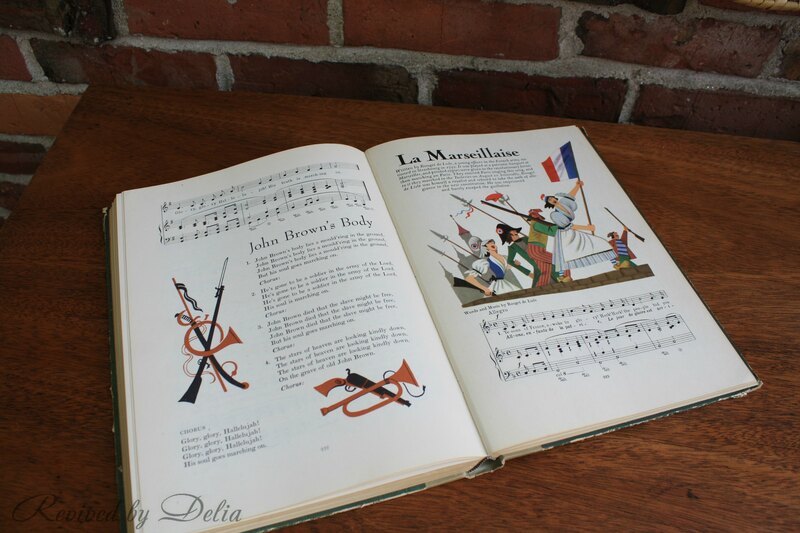 And while flipping through this old book of folk songs, looking for an illustration that had appealing colors or title, I came across this song that, although a little morbid for this vignette, I had to include. The town I live in was the birthplace of John Brown, so it was interesting to come across this song. I figured I would give him a shout-out. Thank you for looking – if you would like to receive email notifications of new postings, please follow my blog on the right! And one last Before & After… ahhhhh, so much better! 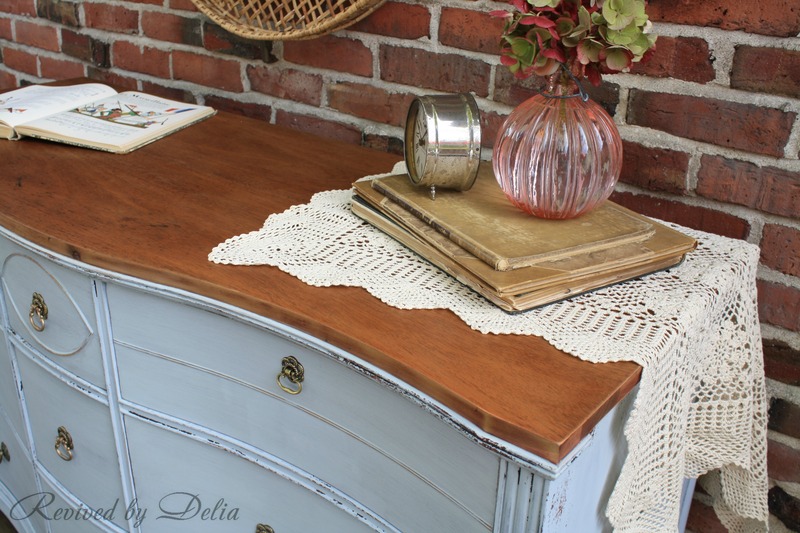 Miss Mustard Seed Milk Paint – Get Inspired! Thank you so much Terry! (And I like 1 pull better also, fake pulls/knobs annoy me.) You have a great week too! Wow! What an extraordinary job! I love the color you chose and the way it looks with the wood. I agree with Delia – 1 pull is better. Perfect! Very pretty! 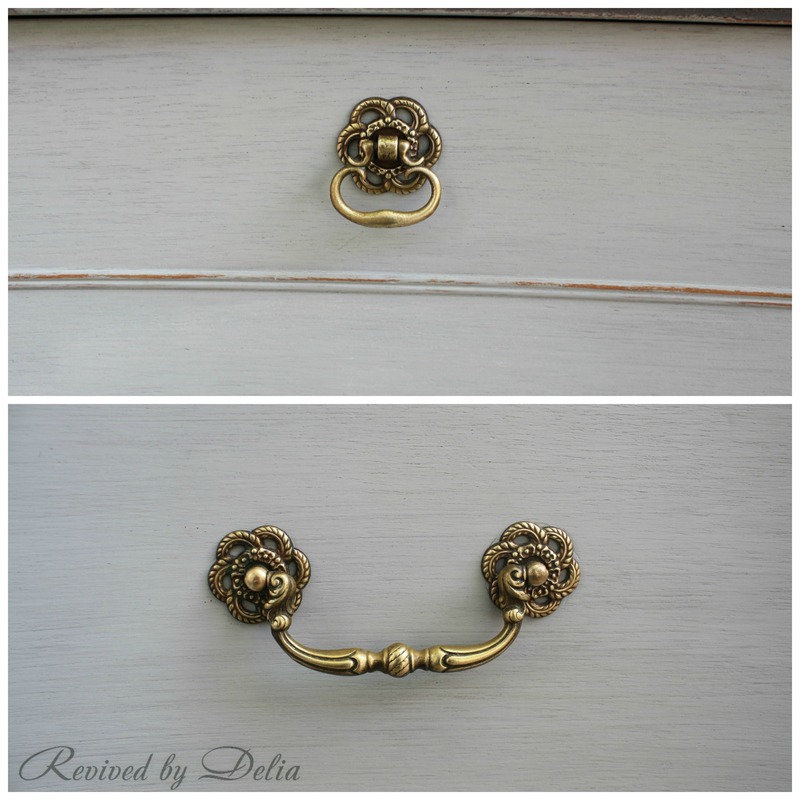 You did a great job with this dresser! Love everything about it. Thanks – I appreciate you stopping by and leaving a comment! 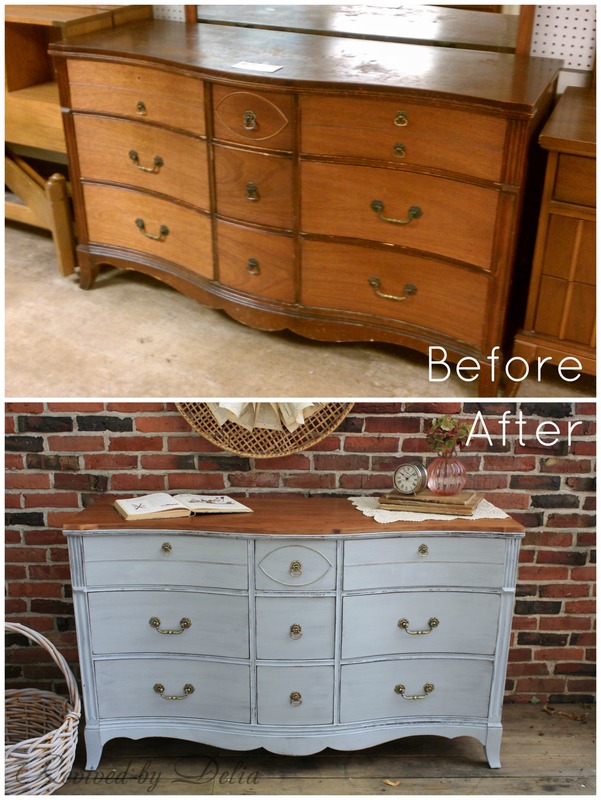 Beautiful transformation! 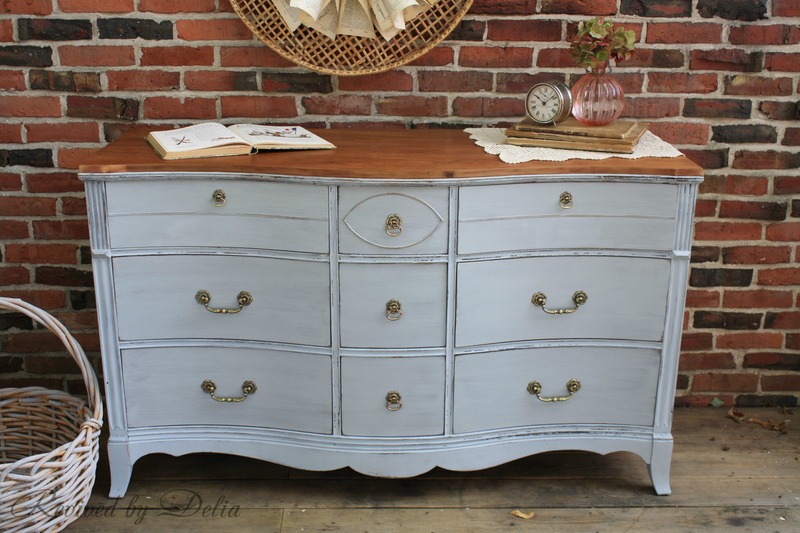 Love the combination of the stain on to with the grey on the bottom! What a beautiful transformation! Well done. Hi Melanie – this one came from our local Salvation Army. 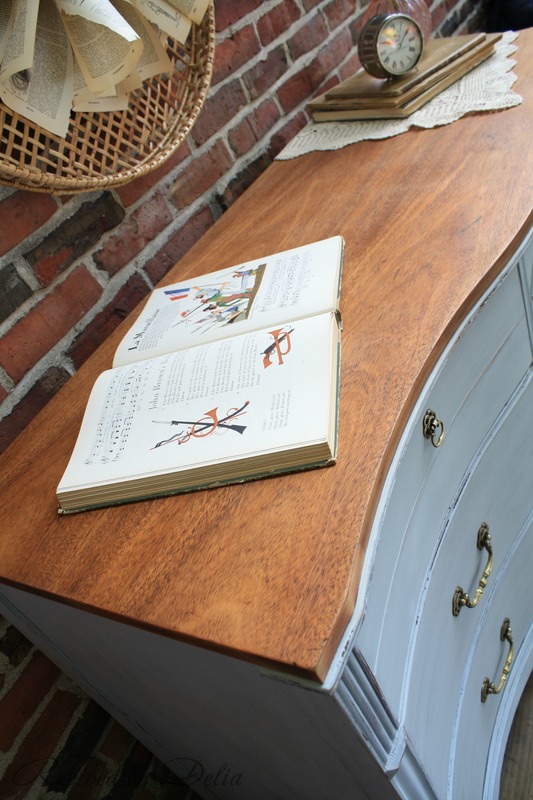 I find great furniture pieces there! Thank you Sandra – so glad you stopped by!